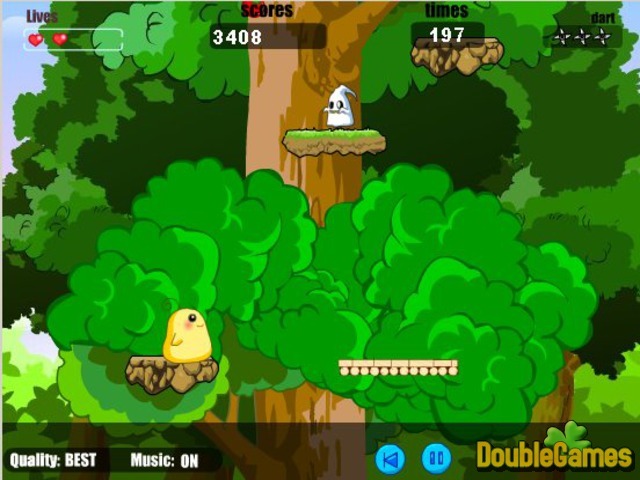 Playing Forest Adventure online game, you will have to help the small amusing yellow creature. This colorful Platformer story brings you to the haunted forest. You have some darts which you must throw to destroy your enemies, but the darts are limited, therefore don't push Space button for nothing. Gain points picking tomatoes, watermelon pieces and bottles of milk. And when you catch a piece of pie, you get an extra life! Be watchful and escape meeting with the ghosts, snakes and bats! 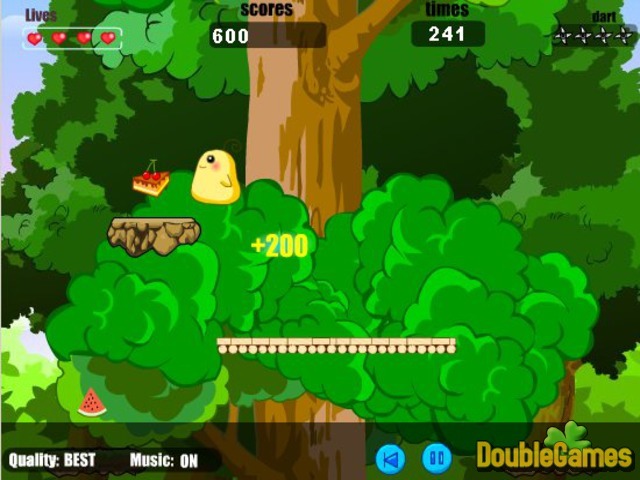 Play Forest Adventure online and help your yellow friend get out from the forest! 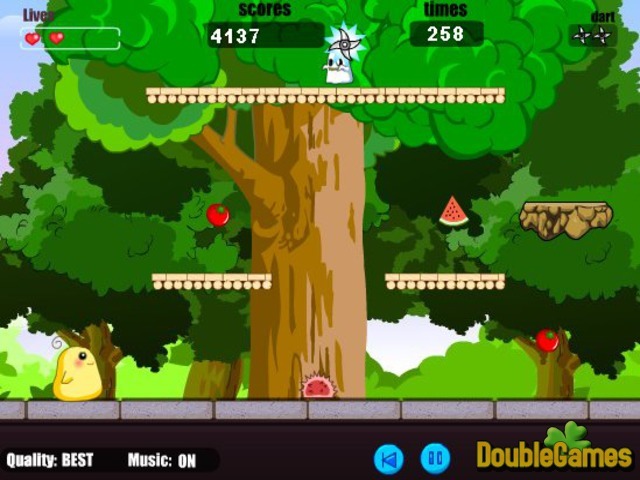 Title - Forest Adventure Online Game Description - Have fun with Forest Adventure, a Arcade & Action game designed by Big Fish Games. Help your yellow friend escape from the haunted forest!